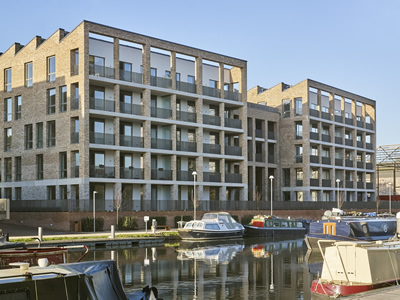 Brentford Lock West has added yet another prestigious industry award to its tally as Chalico Walk secures a RIBA Regional Award. Chalico Walk, designed by Mae Architects has recently been selected as one of the London winners, recognised for its impressive architecture. This is the fourth RIBA Award for the development and follows a RIBA Award last year for The Arbor, as well as a RIBA National and a RIBA London Award in 2015, for The Halyards, the first collection of homes delivered as part of this large-scale regeneration scheme. Chalico Walk was the first collection of homes to have been released on phase two at Brentford Lock West. 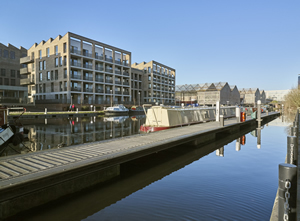 It comprises two waterside blocks of one, two and three-bedroom apartments, which sit alongside the Grand Union Canal in Brentford, west London. For those keen to secure themselves one of these award-winning new homes, time is running out, as just a limited number of two and three-bedroom apartments remain for sale at Chalico Walk, with prices starting from £565,000. All the homes benefit from a balcony or terrace and many of the homes enjoy water views and are ready to move into now. Keelson Gardens is the latest release of homes at Brentford Lock West, which includes a mix of one, two and three-bedroom apartments, duplex apartments, penthouses and townhouses, which are now selling off-plan. Arranged around a beautifully landscaped courtyard, the homes at Keelson Gardens benefit from the shared use of a communal courtyard. The first release of homes comprises a collection of apartments and penthouses, with prices starting from £399,950. In addition, a collection of just six, four-bedroom townhouses have now been released. With flexible living accommodation spread over four floors, the townhouses also offer access to a landscaped, outside communal space. They all benefit from their own private balconies and courtyards and the homes are available for purchase off-plan. All townhouses come with two parking spaces. Prices start from £925,000. For more information, please call the Brentford Lock West sales team on 0203 504 6403, email brentfordlockwest@stubbingsltd.co.uk or visit www.brentfordlockwest.co.uk . The Sales and Marketing Suite is open daily 10am-5pm.